Bursting with old-school big band power, Afrobeat crew Chopteeth know how to turn skeptical foot-tappers into shirt-whirling, wolf-whistling believers. 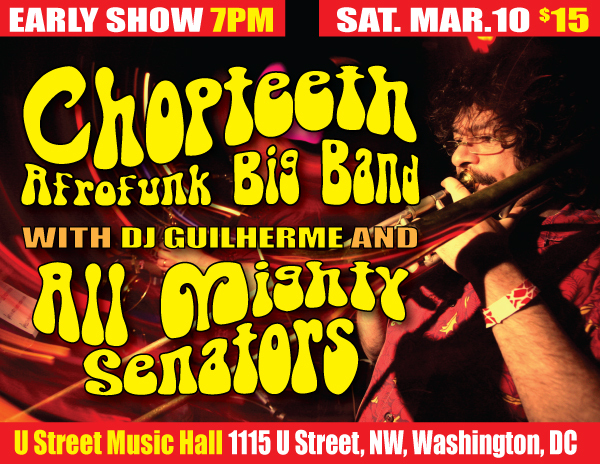 Joined for a double-bill by Baltimore based All Mighty Senators who Billboard Magazine calls “Hot Hot Hot!”, no rear will be left unshaken at the U Street Music Hall on Saturday, March 10th, 2012. After picking up two Wammies recently (World Music Group and World Music Vocalist), bringing their total to nine, Chopteeth will be in a celebratory mood. This is their final area show before making their New Orleans debut at the Congo Square Rhythms Fest at the end of March. 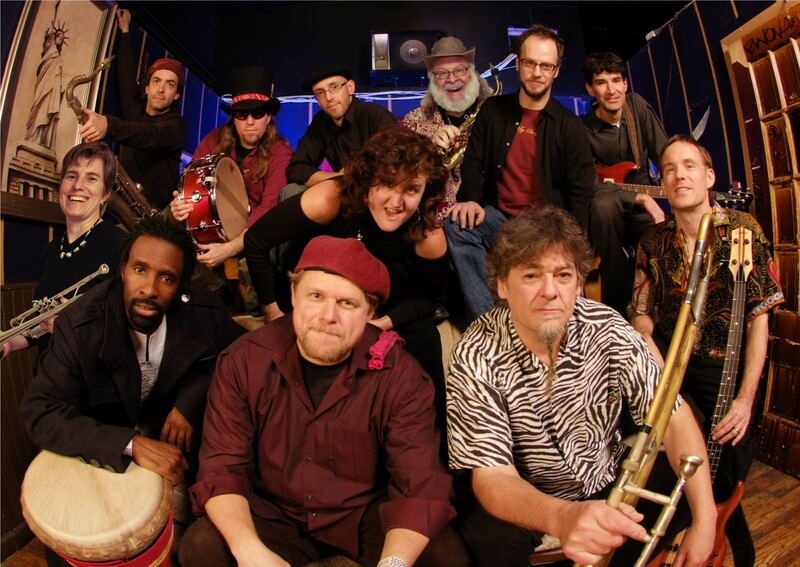 The Washington Post hails Chopteeth as as “A sensation—the dozen-plus member outfit cooks up a scintillating stew of Afrofunk, rumba, salsa, ska and funk. There’s no other band in the area with as funky and wide-reaching a sound.” Combine that with the Rock & Soul sound of All Mighty Senators for the evening and a party is brewing! For Chopteeth, even a dance party can be a deep exercise in tracing musical lineages. Over many sweaty gigs, the band honed a late Fela piece of fugue-like complexity (see a live video of Question Jam Answer) and spent months calling Nigeria to find an unsung master of African funk. They dug through record store bins, trolled the internet, and mined the vinyl of die-hard African record buffs to find lo-fi and neglected gems. These gems harken back to the golden age of African pop, the 1970s. In rough-and-ready studios, musicians laid down heady mixes of James Brown-inspired funk, complex chord changes, and local rhythms. They reacted to soul and rumba, to jazz and rock, to harsh political realities and deep roots. Though some musicians of this generation rose to international prominence, many languished, only recently rediscovered by dedicated African music fans, labels, and collectors. Check out this video of Chopteeth Afrofunk Big Band performing Fela Kuti’s J.J.D. from the Rock and Roll Hotel. Craig Considine, who will be performing with both Chopteeth and All Mighty Senators plays a killer solo on the video. All Mighty Senators is a rhythm fused quintet from Baltimore, which has toured the United States and Canada extensively. AMS released their first recordings under Baltimore indie Merkin Records before releasing four albums under their own Dog Eat Dog Records to both critical and popular acclaim. 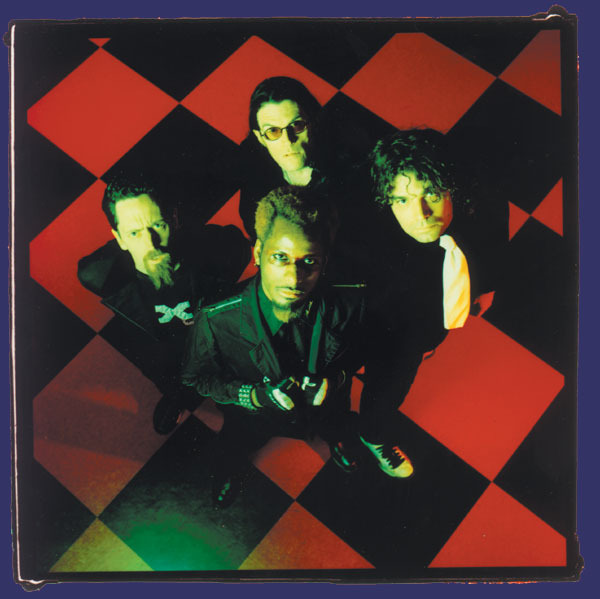 Their live shows, fronted by the charismatic Landis Expandis and guitar-god Warren Boes, have remained one of the most revered on the East Coast, and have established AMS with a diverse and rabid following, ranging from indie-philes to rave cadets to festival freaks. Their genre defying sounds have drawn comparisons to such disparate acts as Sly and The Family Stone, Frank Zappa and Beck. Fela’s Afrobeat and All Mighty Senators have some unexpected elements in common: political ferocity, a day-glo intensity, and serious creativity. They both evolved in reaction to Western R&B or pop rock, and leaped off in radical (and radically different) directions. Chopteeth and All Mighty Senators know how to meld the retro savor and the fresh take, with unrelenting energy and onstage flair. 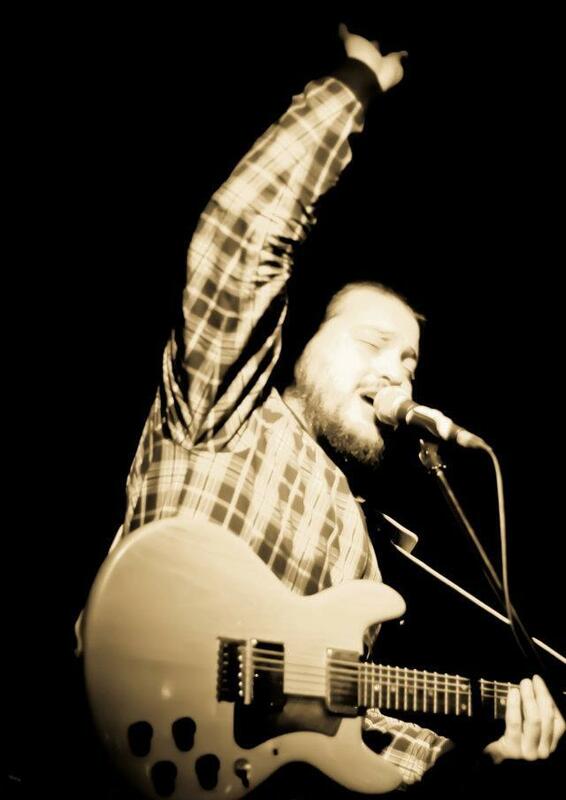 Chopteeth lead vocalist and primary songwriter Michael Shereikis offered, “We’re really looking foward to getting back into U Street Music Hall with its slamming sound system, and just as psyched to finally be sharing the stage with Almighty Senators. It’ll be a wicked good time, guaranteed”. Join us for, “I LIKE IT WILD”, Asheville’s night of celebration for people who love and protect the world’s forests. Josh Phillips Folk Festival, Asheville Horns, and Moses Atwood are all set to play a benefit for Environmental Paper Network, on Wednesday, April 18th, 2012 at the Asheville Music Hall. There will be some incredible raffle prizes as well including local bands’ cd’s, a Skate PhD skate board, gift certificates to restaurants, massage, guided hikes, Lazoom, Ghost Tours, beautiful artwork and jewelry, and more! The Environmental Paper Network is an international coalition of advocacy groups working together to change what’s in your paper. 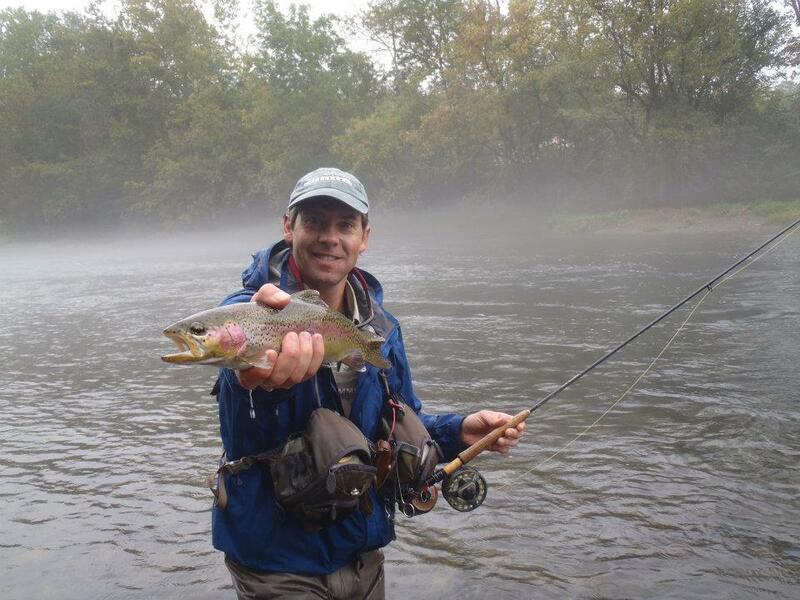 Based in Asheville, they working to leverage the purchasing power of the world’s biggest brands, motivating them with both carrots and sticks, to buy paper products that are more responsible and sustainable for people and for our planet. Groups like Greenpeace, WWF, Rainforest Action Network, NRDC and the National Wildlife Federation are part of the Environmental Paper Network. Their Network also includes local groups doing amazing work right here in town, like the Dogwood Alliance, Clean Water for North Carolina, and Wild South. Our community here in Asheville is full of people who are members of national and local conservation organizations and who by their donations and actions have been part of asking the world’s biggest brands by asking, “What’s In Your Paper?” I Like It Wild is a meet-up and celebration of all that we have accomplished together to change the world. It’s also an opportunity to build community and meet new people, because right now there’s urgent work to be done to fight climate change and stop deforestation. 2012 is a year of real urgency, there’s only 400 Sumatran tigers left in the wild, and destructive paper production practices are driving them to extinction. The world is rallying to save endangered species and places on the verge of disappearing forever, and Asheville is a central headquarters of that global movement key part of that organizing. 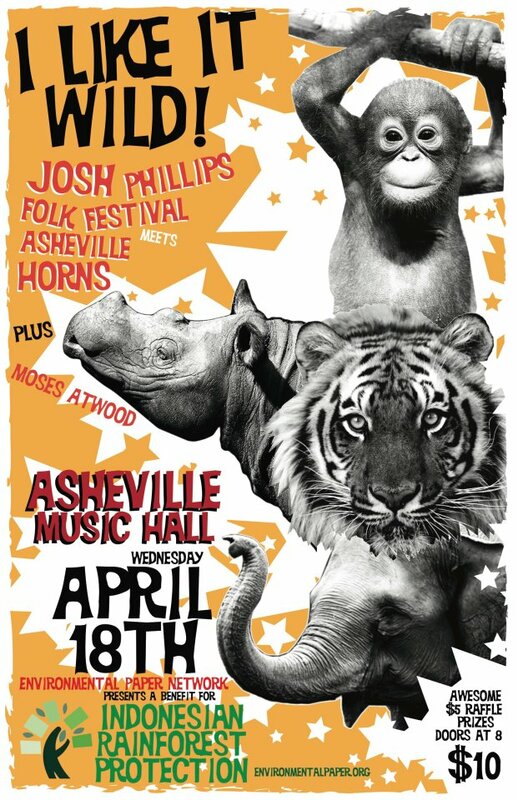 We are very lucky to have the talents of some incredible musicians, Moses Atwood and his band, The Asheville Horns and Josh Phillips Folk Festival to help us party properly, so please come out and celebrate Earth Day, celebrate the world’s forests, hang out with people who want to protect them and have a ridiculous amount of fun. Come out and support the work of your favorite environmentalists while getting down to the sweet sounds! MantraBash Music and Arts Festival ~ Taking it to the next level June 21-23! MantraBash Music and Arts Festival-Taking it to the next level! Presented by Stanlee Ventures, LLC featuring The Mantras of Greensboro NC. MantraBash Music and Arts Festival is right around the corner! Being held on June 21st through the 23rd in the beautiful foothills of Ferguson, NC; this event is sure to make it to the top of your list when considering festivals this summer. Watch The Mantras from last year’s FloydFest! Robert Walter’s 20th Congress (with special guest, Galactic drummer Stanton Moore) performs live at the Great American Music Hall in San Francisco, CA 2009. Get ready for the Robert Walter Trio at MantraBash! Despite the great music exposure, the feeling of happy vibes and intimacy are not always achieved when attending large events. MantraBash is sure to cure that! Capturing the wide variety of jam bands ranging from soulful-funk-rock to electric-folk-grass in the 3-day line-up, MantraBash will exceed your musical expectations while maintaining the comfortable family vibe, which is momentous for the perfect festival. Mantra Bash vending will include a selection of great food, as well as art and crafts. Hot showers will also be available for public use for a small fee. Take this opportunity to transcend your current festival experience. Your concept of the best festival in North Carolina will remain a microcosm compared to the MantraBash world to come. Beautiful Poster Art for Suwannee Springfest! Festival Poster Art by Marci Davis. 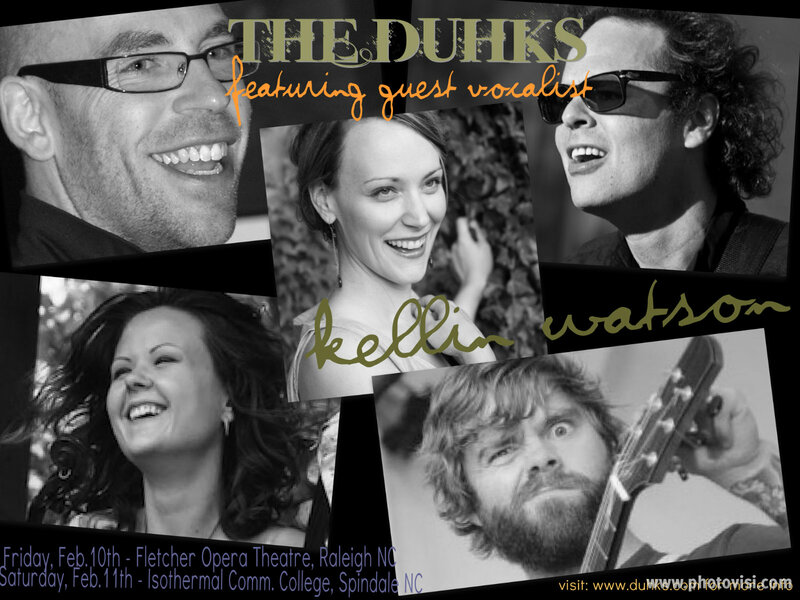 Kellin Watson will be sitting in with old friends The Duhks, as a guest vocalist for two shows this February. With Tania Elizabeth on Fiddle and Scott Senior on percussion, Jordan McConnell on guitar and Leonard Podolak on Banjo and vocals it will be almost all of the original members of The Duhks! It will be a special night, but if you can’t make it, be sure and help us spread the word to others in or around the Raleigh or Spindale area. NPR says, “The inventive Canadians in The Duhks are widely beloved for their smooth blend of traditional roots music and soul, which they inject with well-placed Afro-Cuban and Celtic influences.” Ultimately though, according to band founder and claw-hammer banjoist Leonard Podolak, the Duhks “just want to play music that speaks to everybody.” Mission accomplished. Galen Kipar and Lyndsay Pruett. Photo by Cameron Yaeger. Effortlessly crafting a fusion of folk, classical, jazz, and blues, the Galen Kipar Project has been hailed as “complex yet accessible” and “cohesive and poignant” with “experimental folk masterpieces.” Based in Asheville, GKP released their fourth album The Scenic Route in 2010 which features the unique sonorous sound that has become the band’s trademark. 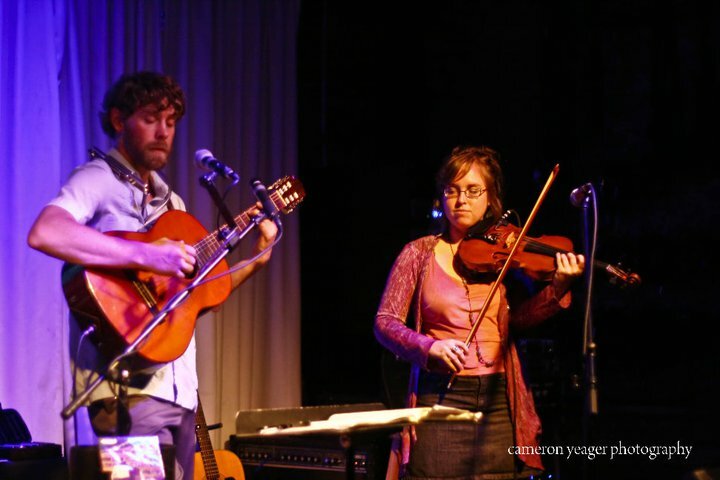 “In Asheville, fans call his act a ‘small-scale symphony.’ It’s probably more like chamber folk/pop, sometimes reminiscent of Adrian Belew’s quieter moods,” says The Roanoke Times writer Tad Dickens. 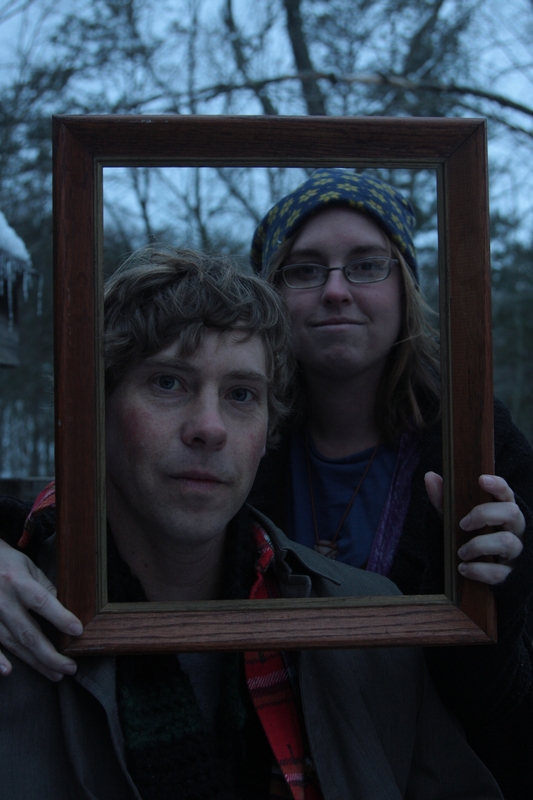 Joining vocalist Galen Kipar on guitars & harmonica is Lyndsay Pruett on violin & vocals. True to his inspiration, Galen sings in the song Riversong, “Headin’ on down to the waterside, gonna take some time, to rest my mind. Gonna break there, gonna stay there. For a moment there, I’ll sigh.” Water is a consistent theme in his uplifting music. “I could easily picture myself finding a secluded stream high on the mountain and lying in the warm sun as the Galen Kipar Project played softly in the background. Maybe I can talk them into hiking with me one day, with instruments in hand, of course. I would even offer to carry a few things,” states Magazine 33. The fan base of the Galen Kipar Project is growing exponentially, with a strong regional presence in the Southeast plus U.S. national touring, including performances at Magnolia Fest, Suwanee Springfest, FloydFest, Six Points Music Festival, and the Crested Butte Music Series. The GKP has also played the Knitting Factory in NYC and to a jam-packed, toe-tapping crowd at the Kennedy Center’s renowned Millennium Stage in Washington DC. 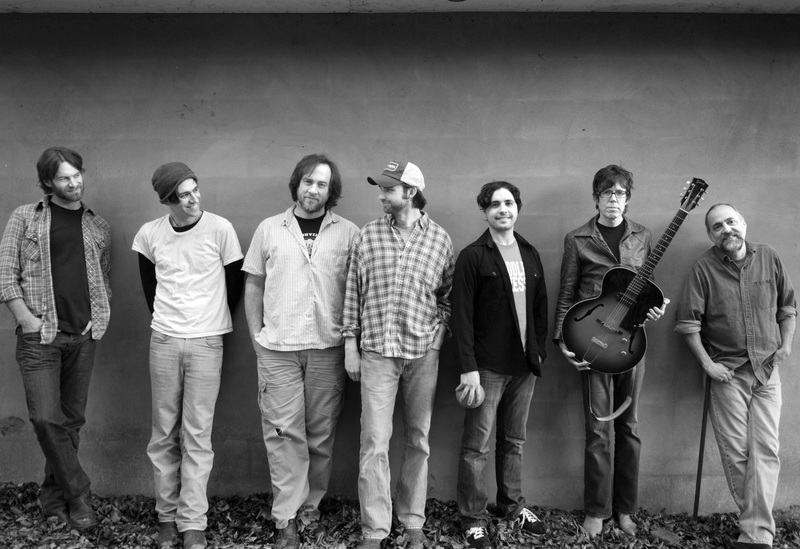 This fall they will be returning to Magnolia Fest amongst other shows on their tour. Sam Lewis is connecting the dots. Whether crossing genres or state lines, he has pieced together a story people need to hear. His self-titled debut, which releases March 13th, pulls together some of Nashville’s most seasoned musicians, who have helped put the breath into a body of songs that are as straight-forward and captivating as the man who sings them. Five years of constant writing, performing and touring have become the nexus of Lewis’ self-titled debut. Along with co-producer Matt Urmy, Sam has woven ten songs into a conversation, between himself, the band, and his listeners. Urmy, himself an accomplished singer/songwriter, assembled a group made up of Nashville’s top session and touring players, including guitarist Kenny Vaughan, keyboard player Reggie Bradley Smith, Derek Mixon on drums and bass player Dave Jacques. “It was amazing”, says Lewis, “because I had never played these songs with anybody before, and especially with those type of guys: professional, but also really seasoned musicianship.” Making a surprise appearance on the album is soul chanteuse Jonell Mosser, providing backing vocals on “I’m A River”. The combination of Mosser’s and Lewis’ vocals bring “I’m a River” to an almost spiritual level. 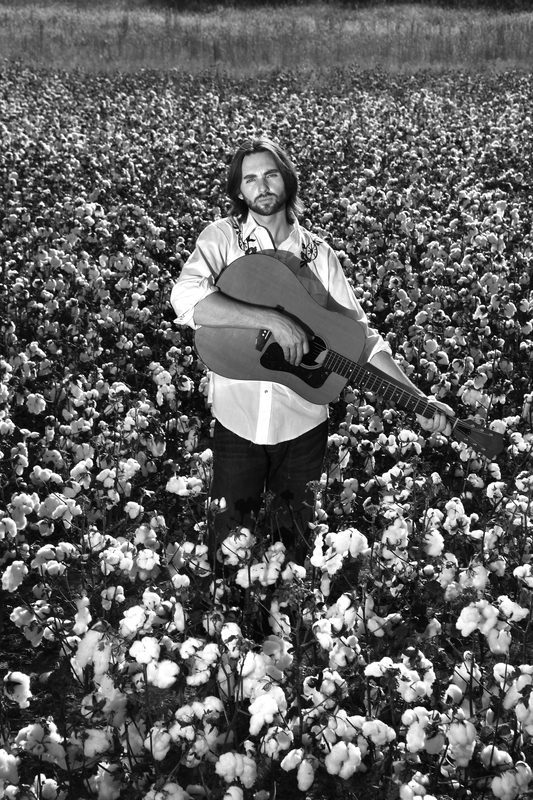 Every word on the album is a product of Lewis’ careful attention to detail, whether it be the fictional “Bluesday Night” or the autobiographical “Southern Greek Tragedy”. 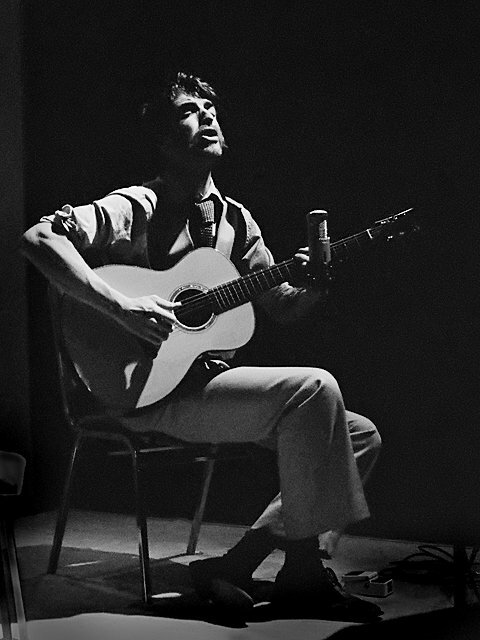 According to Steve Wildsmith, of The Daily Times, Lewis’ writing “conveys the weight of a heavy heart with well-turned phrases and searing images usually reserved for such luminaries as John Prine” that “sets him down a path well worn by contemporaries like Guy Clark and John Hiatt.” He is able to tell the story with only the necessary lyrics, leaving the rest to nuance, and the listeners own discretion. Music was one of the few constants in Sam’s life. His family never stayed anywhere for long, which meant that friendships were forged between himself and the music he absorbed, from Roy Orbison to Van Morrison to Willie Nelson. The influence of Ray Charles can be felt from the first note to the last beat, making Sam’s debut a complimentary companion to Charles’ own, two-volume Modern Sounds in Country and Western Music. Leaving home as soon as the opportunity arrived, Sam landed in Knoxville, and later Nashville. Sam has spent hours, in fact years, collecting and arranging the relationships and experiences he has forged. To the average person, they seem like an amalgamation of time and happenstance, but to him, they are the moral of the story. “I never once felt, in this whole process that someone just kind of pointed. No one took me by the hand, but almost every single one of these connections were very personal. I was introduced to these people that helped make this record. These are gonna be people that I’m going to know the rest of my life.” Lewis has drawn us a clear picture of where he’s going, and thankfully, he has invited us along for the ride. ~ Bio written by Samantha Harlow.